Viewing this aft cabin is highly recommended. Many recent upgrades and the overall condition is excellent. 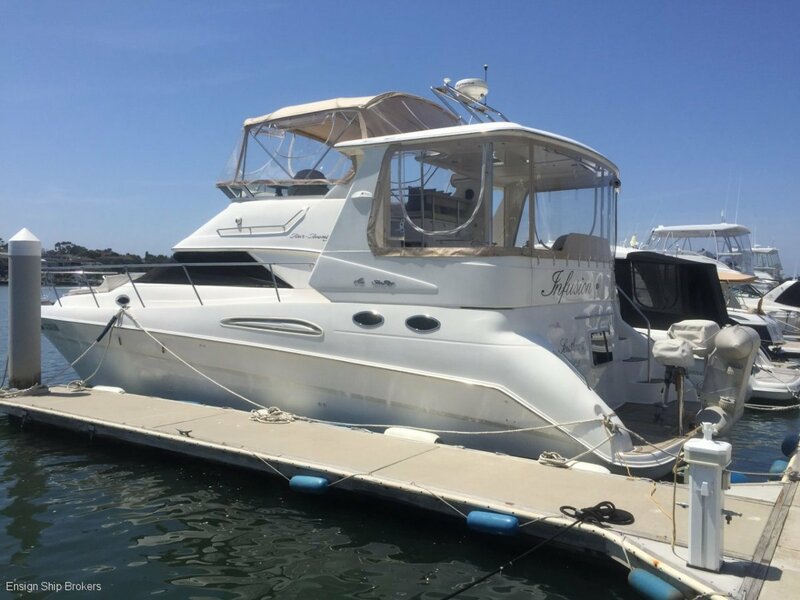 A production flybridge cruiser with lots of space, including three decks. A broad 4.34m beam allows great accommodation and separate social areas. Double cabins at either end of the boat and an electric bed/lounge in the saloon for accommodation. Practicality with walkaround decks and big entertaining spaces. Cabins: Full beam aft master stateroom, Forward double.